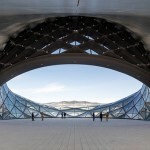 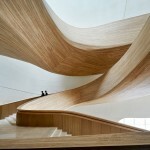 A magnificent Harbin Opera House, located in the Northern Chinese city of Harbin has been unveiled by MAD Architects. 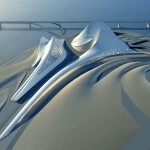 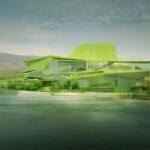 The company won the international open competition for Harbin Cultural Island, a master plan for an opera house in 2010. 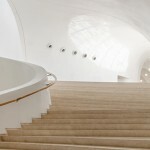 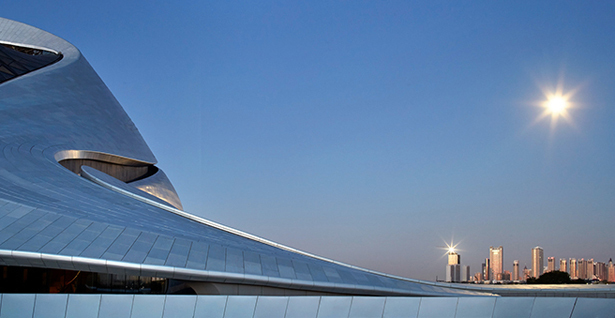 This architecture can be an iconic landmark, a focal point of the Cultural Island, featuring a building area of approx. 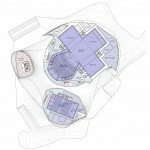 850,000 square feet of the site’s 444 acres total area. 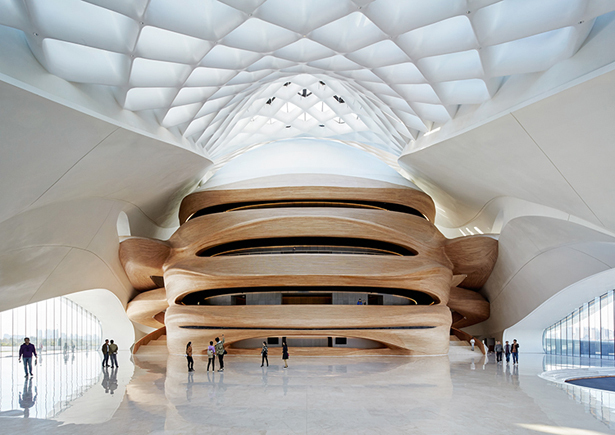 This building houses a grand theater that can accommodate up to 1,600 people and a smaller one for more intimate events with an audience of 400. 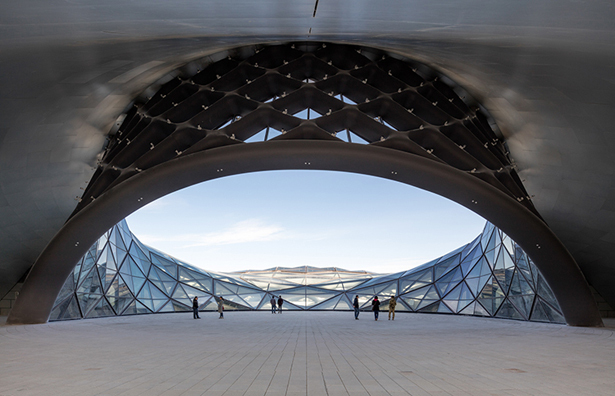 Surrounded by Harbin’s wetlands, this opera house has been designed in response to the force of spirit of the northern city’s untamed wilderness and frigid climate. 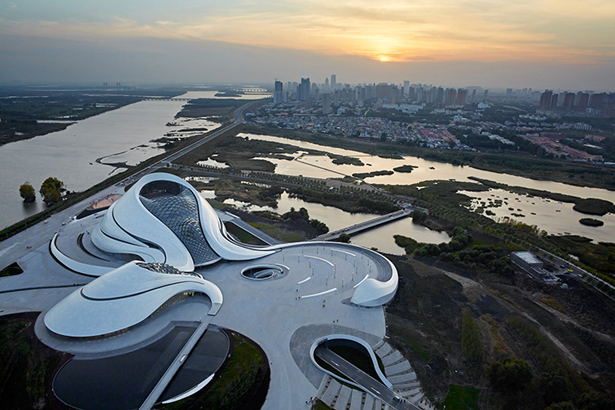 The exterior is designed as if sculpted by wind and water, it blends in harmony with its surrounding nature and topography, a transfusion of local identity, art, and culture. 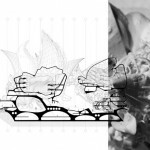 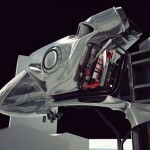 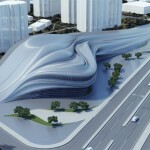 The vision is to create a futuristic cultural center, a dramatic space that integrates human, art, and the city identity. 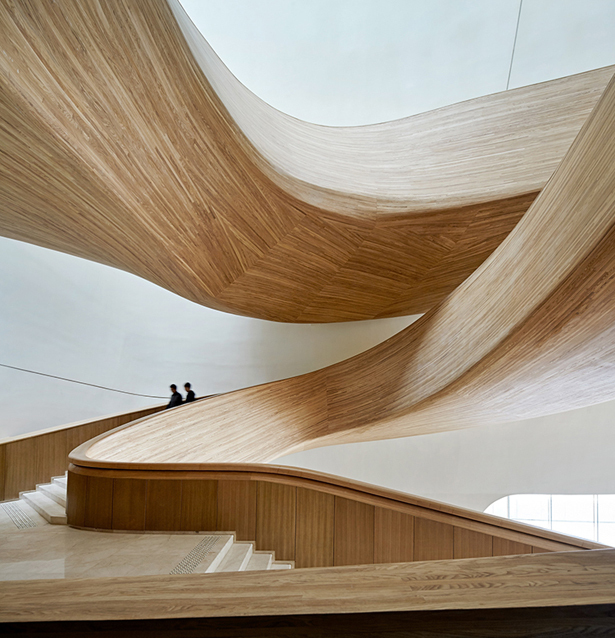 The architecture of Harbin Opera House takes references out of sinuous landscape of the surrounding area. 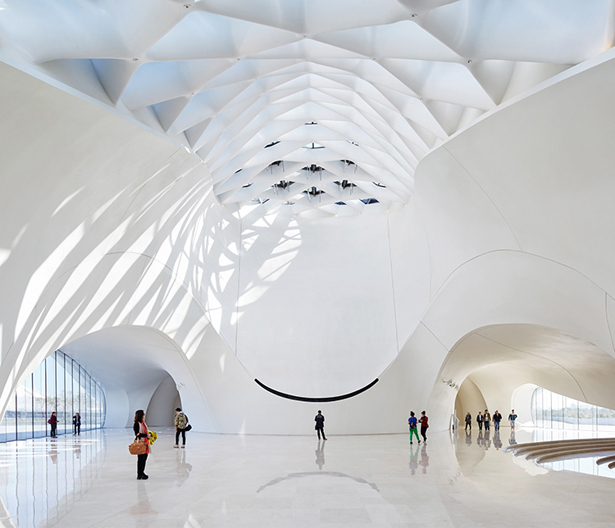 The resulting curvilinear façade composed of smooth white aluminum panels becomes the poetry of edge and surface, softness and sharpness. 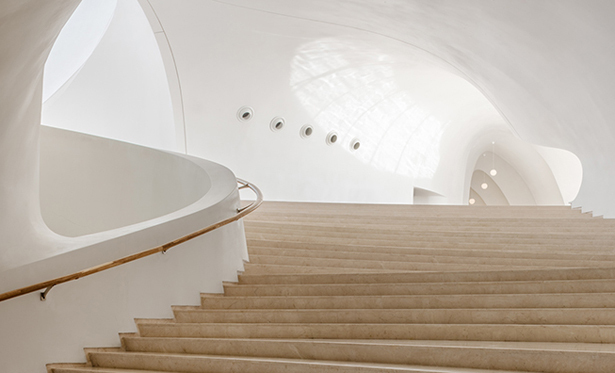 The journey starts upon crossing the bridge onto Harbin Cultural Island, there’s undulating architecture mass that beautifully wraps a public plaza, and during winter months, this place melts into snowy winter environment. 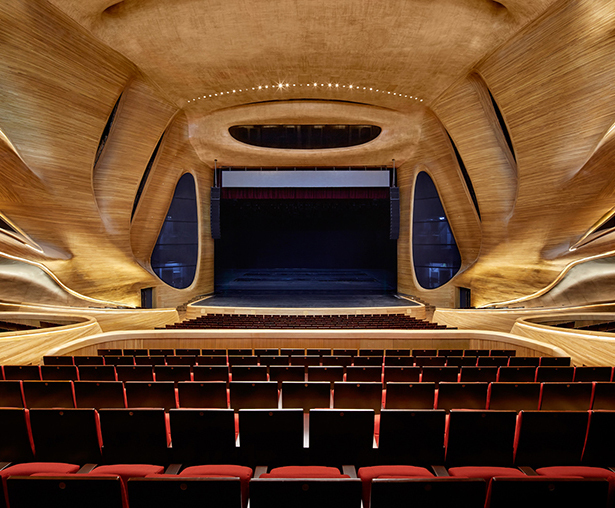 The grand theater presents audience with warm and inviting elements, it is clad in rich wood where a wooden block has been gently eroded away. 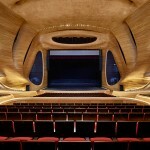 Using Manchurian Ash, those wooden walls gently wrap around the main stage and theater seating. 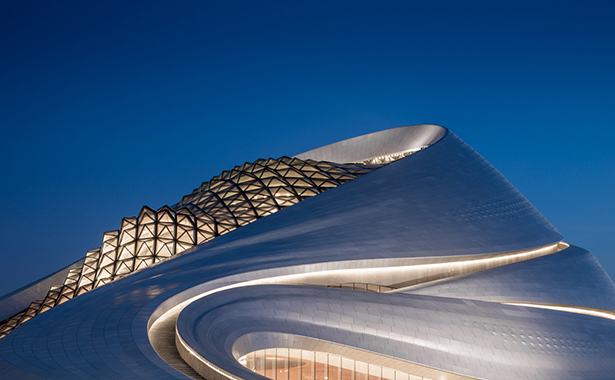 The subtle skylight illuminates this theater in a way that allows the audience to connect to the exterior and the passing of time. 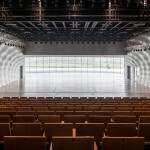 The smaller theater’s interior is connected to the exterior by large, panoramic window, behind the performance stage. 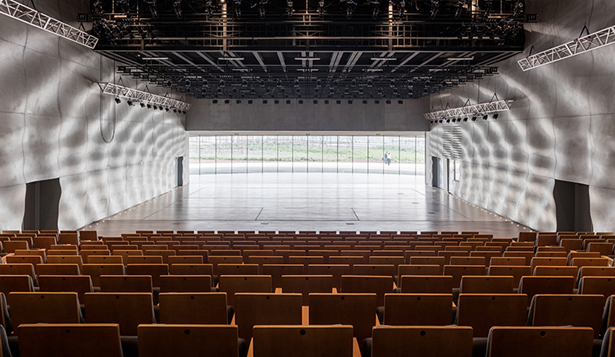 The wall of sound-proof glass offers naturally scenic backdrop for performances and activities of the stage as an extension o the outdoor environment. 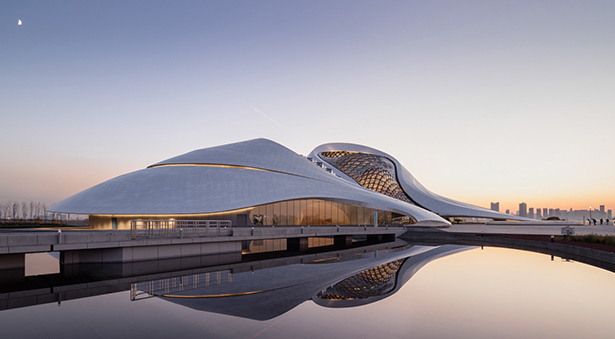 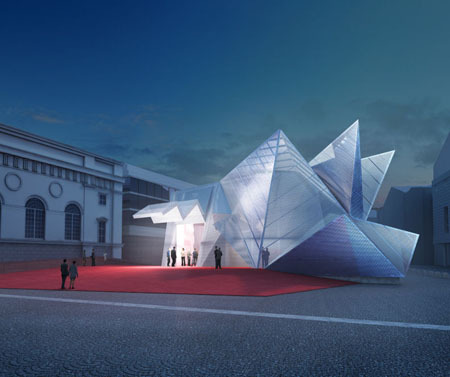 This complex opera house typology was inspired by nature and saturated in local identity, culture, and art. 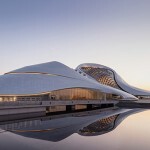 Tagged as chinese opera house, curvaceous opera house, futuristic harbin opera house, magnificent opera house.